There's nothing better than sharing good news, right? Not even chocolate. Seriously. And when the good news is about Paige Cuccaro and Hellsbane, book one in this heavenly bounty hunter series, then we just have to shout from the rooftops! Behold the awesome reviews this book is receiving. And then rush right out and pick up your own copy (by clicking on the links below). You can thank us later. 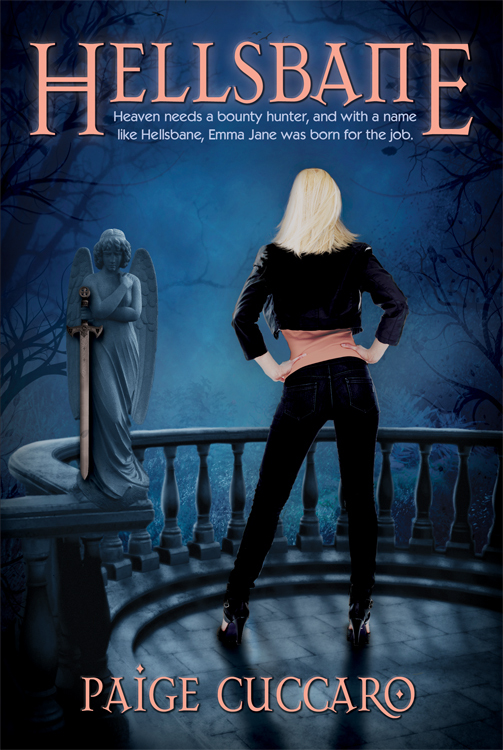 "Hellsbane is a thrilling read with just enough fast-paced action and excitement to leave you hanging onto the edge of your seat!" "Emma Jane's character is awesome, I loved her character, I can't wait to read more in the next book of this incredible series. I recommend this most awesome book to all and I hope you all enjoy it as much as I did!!!" "Cuccarro has this way of pulling you into a scene--I was smelling the brimstone, and feeling the black goo that at one time was a demon." "Paige Cuccaro has given us:  Fantastic characters, a realistic setting, an original spin on "new" religion and the idea of angels. I LOVE Emma! It's an action packed thrill ride! Don't let this one pass you by!!" "Wow! I loved this book! Like, I hate that I'm having to wait now for book #2 kind of love this book." "Hellsbane is a well written book with an awesome plot and characters that seemed so real. I thoroughly enjoyed it!" "This book is jam packed action, great characters and witty banter."